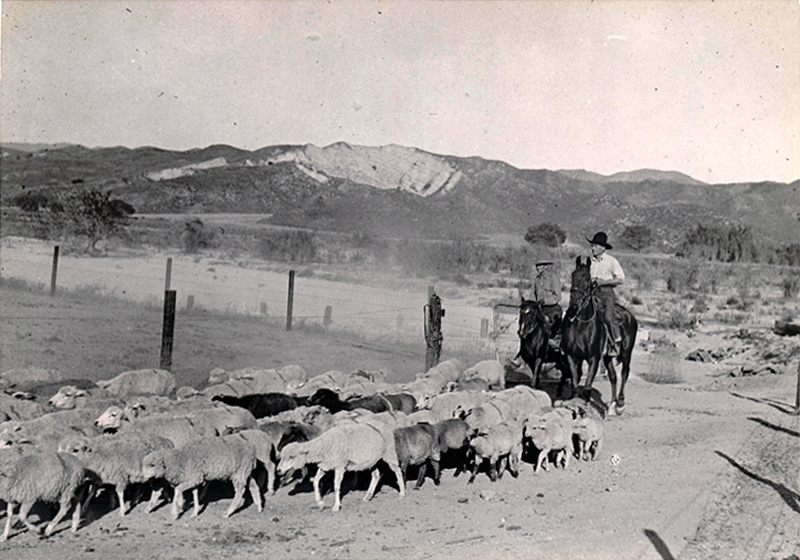 Harry Carey (right) herds his sheep at his ranch. We can't identify the other man in this undated photograph. DC3010: 9600 dpi jpeg from original print courtesy of Harry Carey Jr.